This page contains a number of self-assessment tools. These tools are for use by University of Michigan researchers in evaluating the conduct of their IRB approved studies. 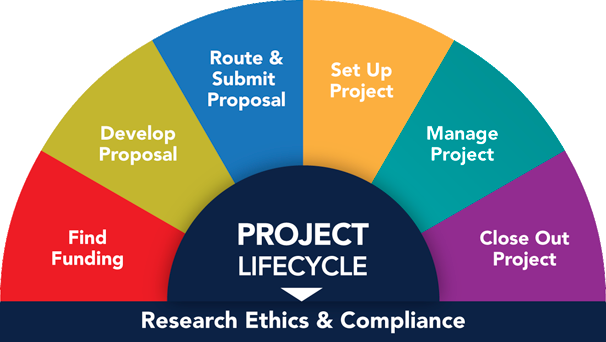 The tools are designed to help meet requirements for clinical research but may be useful to organize study documentation for other types of studies as well. Some of the tools are in the form of checklists and some are in the form of templates that need to be customized with study specific information. Please keep completed self-assessment tools with your study related records as documentation of on-going oversight of the study. This form is for researchers to use to conduct a self-assessment of their IRB approved study to ensure that the regulatory and institutional requirements for documenting eligibility criteria are met. Study team can use this Word version to make modifications that reflect specifics of their study. This form is for researchers to use to conduct a self-assessment of their IRB approved study to ensure that the regulatory and institutional requirements for obtaining and documenting informed consent are met. Study team can use this Word version to make modifications that reflect specifics of their study. This form is for researchers to use to conduct a self-assessment of their IRB approved study to ensure that the regulatory and institutional requirements for protocol adherence/reporting are met. Study team can use this Word version to make modifications that reflect specifics of their study. This document is designed to assist investigators in assessing the adequacy of data protection mechanisms in place for a given study. This form is for researchers to use to conduct a self-assessment of their IRB approved study to ensure that the regulatory and institutional requirements for obtaining and documenting informed consent are met. The purpose of this self-assessment is to help researchers assess whether they’re meeting their regulatory obligations and institutional guidance for Non-Significant Risk Devices. This form is for researchers to conduct a self-assessment of their IRB approved study to ensure that the regulatory and institutional requirements for documenting study activities are being met. Investigators who initiate and submit an IDE application to the FDA assume the responsibilities of both the investigator and the sponsor. Under FDA regulations, an academic sponsor or sponsor-investigator has the same obligations as a multi-national device manufacturer that sponsors or holds an IDE. This form is for Sponsor-Investigators to conduct a self-assessment of their IRB approved studies to ensure that they are meeting their institutional and regulatory requirements. Investigators who initiate and submit an IND application to the FDA assume the responsibilities of both the investigator and the sponsor. Under FDA regulations, an academic sponsor or sponsor-investigator has the same obligations as a multi-national pharmaceutical manufacturer that sponsors or holds an IND. This form is for Sponsor-Investigators to conduct a self-assessment of their IRB approved studies to ensure that they are meeting their institutional and regulatory requirements. Investigators who conduct research sponsored by the Department of Defense (DoD), including collaboration with DoD, or involving DoD facilities or personnel (military or civilian), must follow additional regulatory requirements. This checklist is intended as a resource for investigators to ensure they are meeting the additional DoD requirements and should be reviewed at the time of initial U-M IRB approval and annually until the research has concluded. If you should have any questions regarding the tools listed on this page, contact the Office of Research Compliance Review at orcr-deptemail@umich.edu(link sends e-mail).